Announcing the AMP EFI clinic, Sept. 5-6, Chaska, MN - Miata Turbo Forum - Boost cars, acquire cats. It's an MS3-Pro tuning clinic! AMP EFI Clinic is a hands-on, two day tuning course for end users, dealers and professional tuners teaching installation, configuration, and calibration of a modern engine management system in a *real world* environment with bona fide, competition experienced instructors.. If you are new to tuning, this could certainly be your fast track! Experienced tuner Scott Clark and Engine Masters Challenge builder Mark Dalquist will facilitate the course using an actual Engine Masters competition engine. Each participant will put their hands on, configure and tune their own ECU with (a full-featured MS3-Pro EMS), and will test their calibrations on a live running engine. From basic configuration and start up to the most advanced features and power management. Limited to 30 participants. 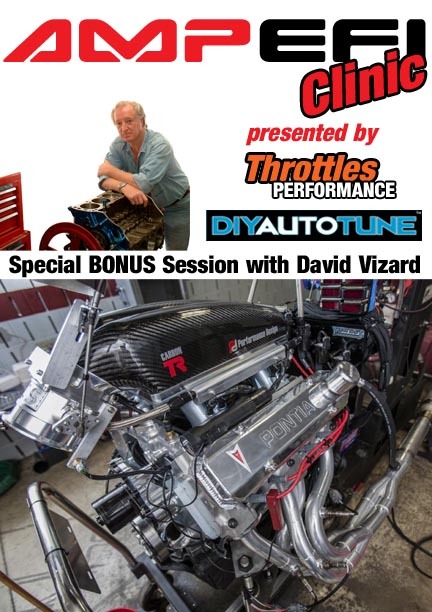 Includes a BONUS session with David Vizard! Light breakfast, refreshments, drinks and lunch will be provided. If you will be traveling in for the clinic, we have a room block at the Hampton Inn Minneapolis/ Shakopee located at 4175 Dean Lakes Blvd., Shakopee, Minnesota, 55379. Mention AMP EFI Clinic for a $20 discount per night. Damn, in my neck of the woods too. We will see how light the dyno makes my wallet in two weeks. I would love to attend.